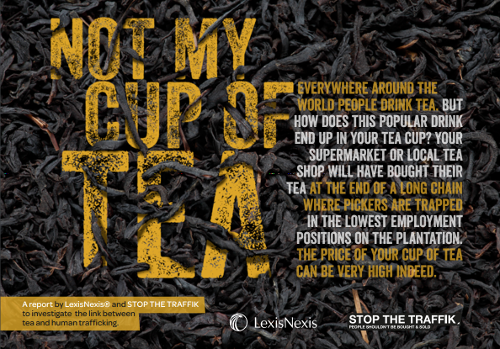 In March 2015 the Modern Slavery Act became law and its effect on UK businesses will be significant. The first of its kind in Europe, and one of the first in the world, the Act specifically addresses slavery and human trafficking in the 21st century, and is one of the most important pieces of legislation for supply chain due diligence. The Act will directly contribute to advancing the SDG target 8.7 to eradicate forced labour, end modern salvery and human trafficking by 2025. 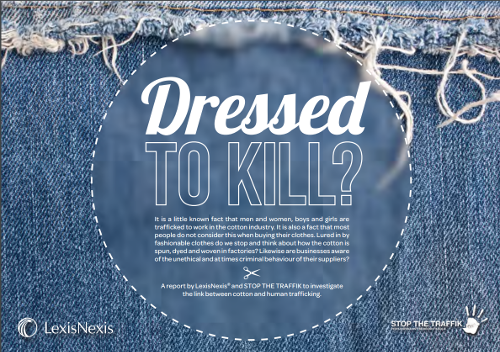 The Dressed to Kill Report is based on LexisNexis' Human Trafficking Awareness Index and highlights the risk and prevalence of human trafficking in the cotton supply chain globally. The report offers guidance on how to take actions to eliminate or reduce the risk of human traffickign in the supply chain contributing to the advancement of SDG target 8.7 to eradicate forced labour, end modern salvery and human trafficking by 2025. 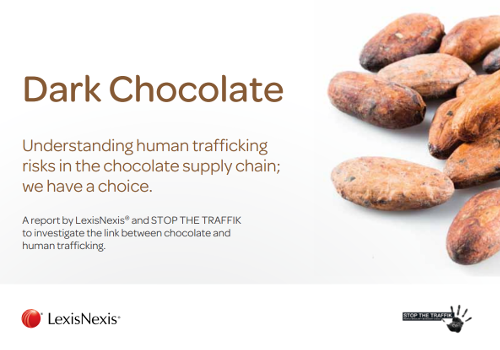 This 2013 report investigates the link between chocolate and human trafficking. It demonstrates how Supply Chain and Procurement Directors can better understand the risk of human trafficking in their supply chain by analysing media coverage. The insights into the chocolate trade and its links to human trafficking contributes to the advancement of SDG target 8.7 to eradicate forced labour, end modern slavery and human trafficking by 2025. This paper discusses public-private partnerships in research, a subject of high policy interest among policy makers. This contributes to SDGs 8 and 9.